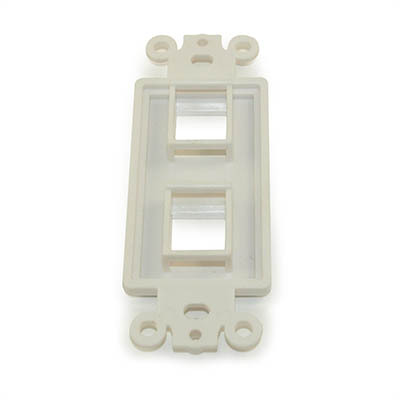 White single gang decora insert has two openings that accept standard Keystone type inserts. This Custom Audio Adaptiplate� System allows installers to configure wall plates to meet virtually any residential audio application. Configure single, or multi� gang wall plates with exactly the connectors needed. Keystone style inserts are compatible with both Leviton and Tyton Hellermann wall plates, allowing easy integration with existing Decora style devices. To configure wall plates, you first start with a blank Decora Insert. 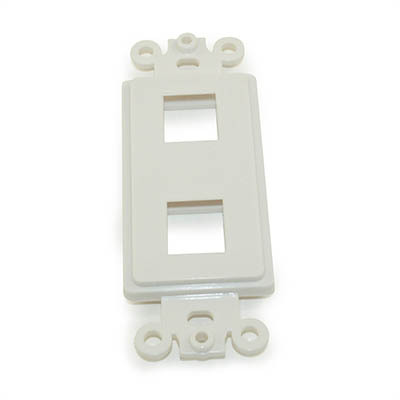 These single gang Decora inserts accept one to eight connectors. If more than eight connectors are needed, multiple Decora inserts may be used. 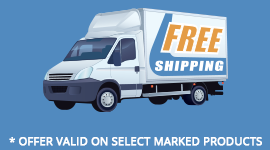 Again, all plates and inserts and fully compatible with standard Leviton and Tyton Hellermann devices and may be combined with other low voltage terminations.